November is coming to a close, and we all know what that means. Thanksgiving is here, and it is time to enjoy that delicious feast. Moreover, the end of the fiscal year is upon us; of course, this can be a great time to jump on all those huge sales, promotions, and discounts. There does tend to be one little problem with the famous Black Friday. No matter where you go, no matter at what time you go out, no matter how quick you want the shopping to be, every single store that participates in Black Friday, which is just about all of them, is jam packed and overflowing with people. There are lines upon lines upon lines for every store. It seems like there are lines to get in line. If you do not feel like dealing with that, the best option is definitely to stay home with no lines or tumultuous crowds. So why not escape Black Friday by playing at Silver Oak Casino in your comfortable easy chair? Here are some games to distract you from all the commotion. This new version of poker is taking the casinos by storm. The object of Let ‘Em Ride Video Poker is to use your three cards in combination with the two shared Dealer cards to build the best hand, at least a Pair of Tens or higher. Are you ready to Let ‘Em Ride? In Let ‘Em Ride Poker, you are dealt three cards face up and two cards are dealt face down in front of the Dealer. The Dealer’s cards are used to complete your hand. After your cards are dealt, you can choose to Continue or Raise. As the round continues, each of the Dealer’s cards are shown. You can raise after the first card is shown. After the Dealer’s last card is shown, your hand is assessed like a standard poker hand – the set of your three cards with the Dealer’s two cards. You win if you get a pair of Tens or higher using all five cards. Check it out and escape Black Friday! Try something new for a change. Test your luck and skill with Pai Gow Poker. Pai Gow Poker is a very popular online casino table game because it requires some strategy and skill but is still very easy to learn and master. Fans of the game also like the fact that you can spend a lot of time playing with a limited bankroll, as there are lots of pushes which prolong the game. On each deal, you and the dealer each receive seven cards, which must then be split into two hands, one 5 card hand, and one 2 card hand. Then your two hands are played against the dealer’s two hands to determine whether you win, lose or tie (push). Escape Black Friday with a few rounds of Pai Gow Poker! You all know Blackjack very well, we imagine. So why not try a new spin on this classic game to escape Black Friday? Perfect Pairs might just be the perfect game for you. Blackjack Perfect Pairs is a popular variation of blackjack that adds a side betting feature. The main game is a straight forward “21” blackjack game, but if you place a Perfect Pairs side bet at the start of the round that your first two cards will be the same rank, you win a huge additional bonus. The Perfect Pair bet is made at the very beginning of the round before the cards are even dealt; if you get any kind of pair in your initial hand, then the payout at the end will be greater because you caught a pair. All kinds of pairs are included; you can get Mixed Pairs (different color and different suit), Colored Pairs (same color, different suit), and Perfect Pairs (same color, same suit). Perfect Pairs for the perfect escape Black Friday plan! There are lots and lots of other exciting games to play as you escape Black Friday lines and hassles. 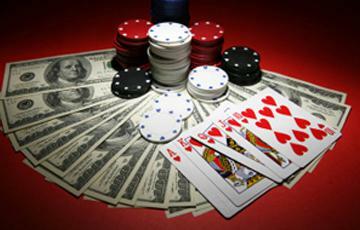 Play from the comfort of your own home at the best online casino, Silver Oak Online Casino.